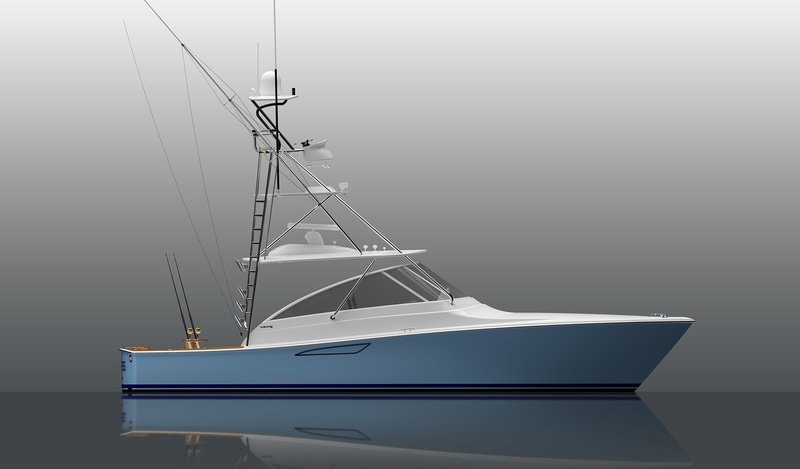 With the addition of the 38 Open Billfish, we now offer two Vikings under 40 feet with all the industry-leading construction, engineering and performance that has made our company the Number One builder in the world of semi-custom sportfishing and motor yachts. The 38 Billfish made her debut at the Viking VIP Preview, hosted by the Viking Yacht Service Center in Riviera Beach, Florida, February 1st and 2nd. The introductions of the 38 Open Billfish and a third Billfish in the burgeoning series—the 46 Billfish—are slated for the Viking 2019 Dealer Meeting & Sea Trial Event, September 9 through 12 in Atlantic City, New Jersey. “These are purpose-built Vikings geared toward day boating but with very comfortable overnighting and living accommodations,” says John Leek IV, General Manager of Viking Mullica where the Billfish series is being manufactured. As owner/operator vessels, these boats offer simplicity and ease of maintenance, serving as ready-to-go fishing machines equipped for inshore and offshore missions as well as versatile cruising boats with reliable inboard diesel power. 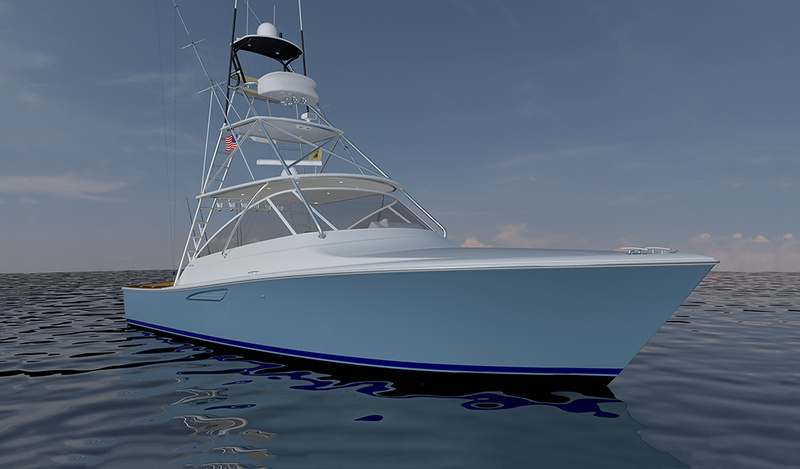 Measuring 109 square feet, the 38 Open Billfish comes ready for battle with a laminated mounting plate in the deck for a fighting chair or a rocket launcher (a cockpit table is also offered). Other fishability features include in-deck insulated fish boxes port and starboard, a walk-through transom door and lift gate, a bait freezer with upper tray, a transom fish box and live well, rod holders, tackle storage and fresh and raw-water wash downs. Two-person mezzanine-style seats flank the centerline walkthrough, and there’s refrigerated drink storage, as well as ample general storage throughout. Marine Electronics, another Viking subsidiary, can build and install a custom package of navigation and communication equipment for turnkey delivery. Below deck, the 38 Open Billfish makes full use of its 14-foot beam to maximize comfort and utility. Hand-finished, high-gloss teak and Amtico flooring complement an elegant climate-controlled living environment. The private head, which is conveniently located immediately to port of the companionway stairs, has a large walk-in shower with satin nickel fixtures and an attractive Corian-topped vanity with sink and storage. Forward of the head and also on the port side, the galley is fully appointed, with a Corian countertop, two-burner electric stove, microwave/convection oven, cabinet storage and under-counter drawer-style refrigeration with built-in ice maker. Rest up in the forward stateroom, which has a lower double bunk and an upper single. There’s also a starboard-side hanging locker. A starboard-side sofa with storage can also be used as an additional bunk. As Viking continues to develop the Billfish series, our building methods and materials have gained efficiency, which adds even more value to these boats. A modified vinylester resin is used in the entire hull skin. End-grain balsa and closed-cell foam are used as coring materials in selected areas for optimized strength and stiffness while minimizing weight. The single integral fiberglass fuel tank, sealed to the hull with resin foam, is resin infused with balsa coring on all sides for stiffness. The hull-to-deck joint is mechanically fastened every three inches and fiberglassed inside. For ease of maintenance, each engine and other critical machinery is located beneath electrically-actuated hatches in the command deck area. The Billfish Open is designed and built with many of the same mechanical systems, components and technologies found on larger Vikings. Examples include the Delta-T engineroom ventilation system and a fire suppression system that’s automatically or manually operated and tied into the main engine and generator ignitions. Running gear includes Class “S” pitch tolerance propellers with dynamic balancing and bronze struts, seacocks and rudders. The engineroom, lazarette and forward bilges are painted with Snow White Awlgrip for increased visibility and ease of maintenance. A large centerline hatch gives you quick access to the engines, optional Seakeeper SK 6 gyro and water maker, and fuel tank fittings. Both the 38 Billfish and 38 Open Billfish are powered with twin Cummins QSB6.7 diesels with 550 MHP.